Hindu farmer Surodhon Pal has packed his bags, eager to return to Myanmar after fleeing for Bangladesh during a wave of violence last year, but he is in a tiny minority -- most of the refugees are terrified of going home. Bangladesh wants the more than 655,000 refugees who have flooded into the country since late August to start returning to Myanmar by the end of this month under a controversial agreement between the two nations. The vast majority are Rohingya Muslims who have faced decades of persecution in Myanmar, which sees them as illegal immigrants, even though many have lived there for generations. They say they would rather stay in the squalid camps in Bangladesh than return to the scene of violence the US and the United Nations have said amounts to ethnic cleansing. But a small community of Hindus who lived alongside the Rohingya in Myanmar's Rakhine state and were caught up in the turmoil say they do want to return. "We want security and we want food. If the authorities can give us those assurances we'll happily go back," Pal, 55, told AFP. 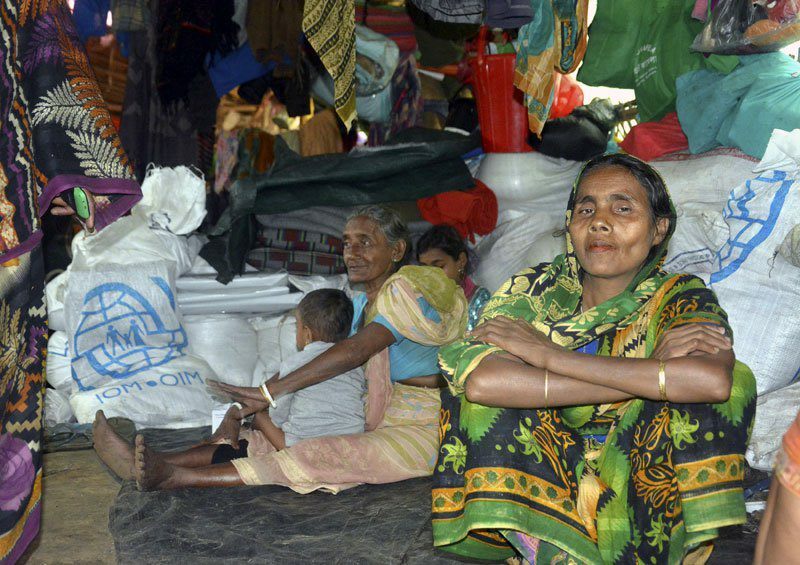 "The Bangladeshi government and the UN looked after us well, but now we have prepared our bags and are ready to return to our country." Last month Dhaka sent a list of 100,000 refugees to Myanmar authorities for repatriation after the two governments signed an agreement in November for the process to begin on January 23. But rights groups and the United Nations say no one should be repatriated against their will and so far only around 500 Hindu refugees have expressed willingness to go. Modhuram Pal, a 35-year-old community leader, said some 50 Hindus had already returned to Rakhine where they were welcomed by Myanmar security forces. Myanmar's military alleges the Arakan Rohingya Solidarity Army (ARSA) carried out the massacre on August 25, the same day the terrorists staged deadly raids on police posts that sparked a military backlash. At least 45 bodies have been found in mass graves. The ARSA has denied the allegations, saying it does not target civilians. But Pal and his fellow Hindu refugees say they will only go back if they are rehoused away from their former villages in Rakhine. Monubala, a Hindu woman who like many of the refugees goes by one name, told AFP masked men dressed in black had attacked her village near Kha Maung Seik, where the massacre occurred. "I left my home, including my chickens, ducks, goats and all property, and came to Bangladesh to save my life," she said. Doctors without Borders estimates that thousands were killed in the violence that hit Rakhine in late August. It remains unclear why the Hindus were targeted, but they appear to have been caught in the middle of a conflict between the military and Rohingya militants. Some reports say each side viewed the Hindus as collaborators with the other. Myanmar state media said last month that the Hindus would be first to be accepted back -- a stance that expert Shahab Enam Khan called a "classic case of communal divide and rule". "The issue of religion as a tool for repression is visibly clear now, the global community should be aware," Khan, professor of International Relations at Jahangirnagar University in Dhaka, told AFP. Tensions between the two communities have persisted in Bangladesh, where the Hindus live away from the main refugee camps. Pal, the community leader, said two Hindu refugees in Bangladesh had been killed by Rohingya in a dispute over the sale of cattle they had brought over the border. Local police chief Abul Khaer confirmed that a complaint had been lodged, and the body of one of the alleged victims found.